Blog > Marketing > Is It Bad to Link to a Site More Than Once in a Guest Post? When you’re writing and submitting guest posts, one of the thoughts in the forefront of your mind is going to be your links. What links do you add? Where do you add them? How often can you squeeze in a link? The answer to all of this and more, as usual, depends on a variety of factors. The number one factor, though, is the editor of the site. The site requirements for guest post submission – and the whims of the editor enforcing them – will determine exactly what you can and can’t do. As such, I can’t give you any hard and fast rules about links in your guest posts. What I can do, however, is discuss various factors that can play into the decision; so let’s talk about those! 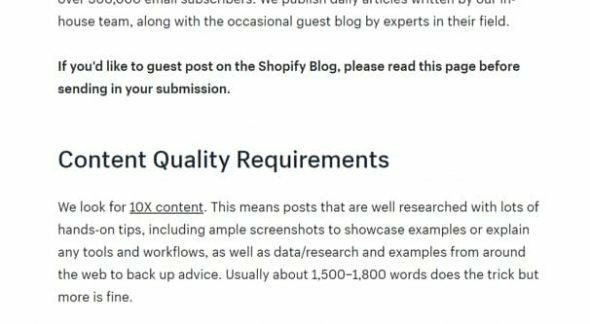 The first and most important thing you need to look into when you’re submitting a guest post is any and all rules, requirements, and regulations the site puts on guest post submissions. Some sites will have pages dedicated to content submissions, complete with a rules document, examples of what’s good and what’s bad, and so on. Other sites might not have anything publicly posted at all, but have an internal document you can access once you’ve been accepted to write for them. Still others leave the decisions up to the specific editor in charge. If the site has publicly available requirements, be sure to read and follow them. One sure-fire way to get your guest post rejected is to ignore the requirements and think you’re above them. If the site doesn’t have requirements posted, you can talk to the editor. Ask them – once they’ve accepted your guest post pitch, anyway – what their link rules are. If they tell you any specific rules, follow those rules. If they say anything goes, well, anything goes. Probably. They might still have their own filters, and are just looking to see what you do with the freedom. The important thing is, do what the people in control tell you to do. Only once you have an established relationship with built-up trust can you try to flaunt some of the rules for your own benefit, and even then, you could sour the relationship. Be careful. 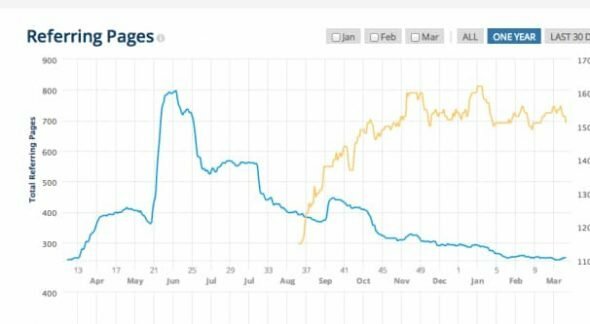 Google treats links in a strange way, built up over decades of adjusting their handling and algorithms to account for a wide variety of methods of abuse. As of right now, if you link from a guest post to your site, you get some fraction of the link juice of the guest post site, as divided by the number of links on the page. So if the guest post page has, say, 10 link juice, it gets split up. First, 1 point is lost to decay, which helps prevent artificial infinite loops. Next, the remaining 9 points are divided up amongst all outgoing links. Let’s say the guest post has 9 links on the page; each link will then be passing 1 point of link juice. 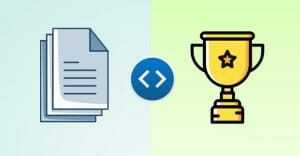 If one of those links points to your site, your site is getting 1 point of link juice. If two of those links are links to your site, you get 2 points of link juice. If there were 9 links, and your second link bumps it to 10, each link has slightly less than 1 point of link juice, so your two links will be worth something like 1.8 points of juice, but it’s splitting hairs at this point. Speaking of splitting hairs, Matt Cutts talked about this back in 2014. The actual, tangible difference between 1 or 2 links coming from a guest post back to your site is infinitesimal. It’s so minor compared to the difference between 0 and 1 links that it’s not worth worrying about. All I can tell you is that it won’t penalize you for having more than one link from the same guest post. 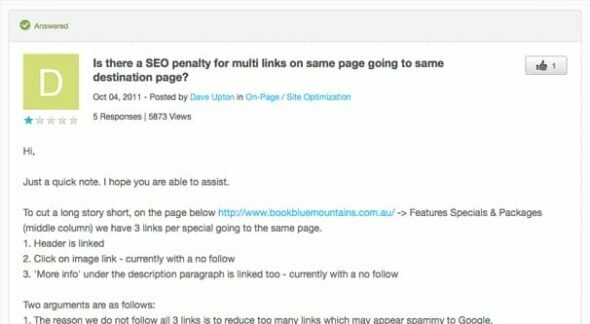 It doesn’t matter if it’s to the same page on your site or to two different pages, there’s no Google penalty associated with it. You have to be concerned more with the hosting site than anything else. Now let’s talk about some of the more social aspects of linking in guest posts. Imagine you submit a guest post and it only has two links in it, and both of those links point back to blog posts on your site. Should the host site publish the post as-is, or would they want to strip out those links? The answer to this depends a lot on the purpose of those links, but I’ll get more into that later. For now, the simple answer is that the site is probably going to want to remove those links. Why? It looks like you’re trying to exploit them just for link value to your site. This is why whenever I write a guest post – and whenever I talk to others about writing guest posts – I recommend adding in a variety of different links. I figure 3-5 links for every 1,000 words is a good rate, though that might go up or down depending on where you can find chances to actually put the links in place. 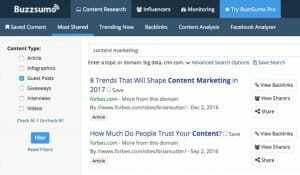 When you link to your own site exclusively, even if you’re doing it because you have interesting and relevant content to share, it comes across like you’re in it more for the links than for the value of the guest post itself. On the other hand, if you link to several different websites, you show that the link you included for yourself is only there because it adds value to the post, the same as all the other links. At least, it gives you more of a benefit of the doubt. One thing you might want to be concerned about is certain site rivalries or competition. I know that some sites don’t want you to include links to certain other sites because they are direct competitors. I personally don’t have qualms about linking to competitors, if those competitors produce content worth linking to. Other site owners might be less open to the idea. It’s also worth noting that some guest post hosts don’t care at all what sites you link to, so long as you have links. They plan to nofollow every link regardless, except maybe links they insert themselves, so you can’t use their site for link juice. This is fine – there are other benefits to guest posts – and it’s a good solution to the problem. Another element of whether or not you can get by with more than one link to your site is where those links are pointed. Are you linking to the same blog post twice? 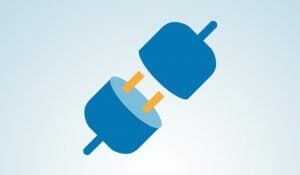 Are you linking to two different blog posts? Are you linking to a blog post and your home page, or to your home page and a landing page? I’ll discuss the differences in the next section, but for now, let’s just think about the difference between two links to the same page versus two links to two different pages. Personally, I don’t think there’s much value in linking to the same post twice. I do it very rarely in my own blog posts, but I only do it when I want to clarify that I’m still talking about the same reference. Other times I just mentioned the link I linked above. 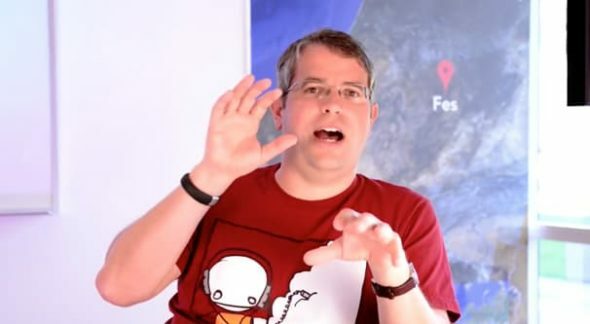 While technically you do get slightly more link juice if you link to the same post twice – see the Matt Cutts video above – it’s not enough to be noticeable or worth caring about. There’s also the social element of exploitation I already discussed. When you link to the same post twice, the editor of the host site is likely to notice and will wonder why you’re promoting that page so hard. If it’s a blog post, and a particularly good or relevant one, they might leave it alone. 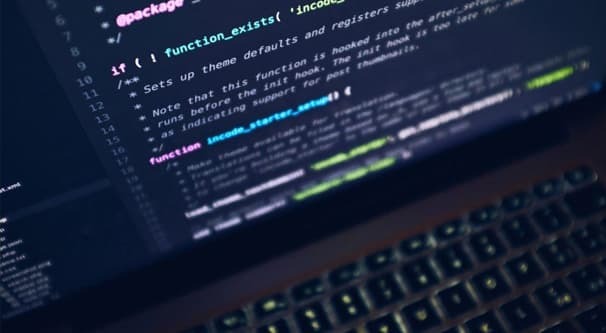 If it’s a landing page, though, you’re a lot more likely to be accused of using those links for commercial purposes, and will have them stripped. Now we come to the big one. 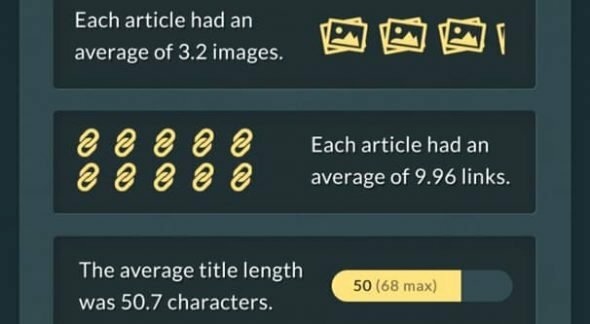 What is the purpose of the links you include in your guest post? The key here is that any link you include, to your site or to another site, should always be included because of the value to the reader. Links to your homepage should almost never be included. The only cases where I see this fly are when your entire guest post is something like a “top 10 services that do X” article, and you’re just one of the 10 entries. Usually this works best if you’re transparent about working for the company, with an entry like “obviously we can’t write this list without including ourselves, right?” Call yourself out in a humorous way and you might get the link to slide. Links to landing pages are highly commercial, simply because that’s what landing pages are. This makes them a hard sell for a guest post. Guest posts are, after all, blog posts. You don’t know the audience that will be reading it, so you can’t have created a tailor-made landing page, unless you made some basic “special offer for users from X site” that would be pretty transparently a basic offer available to everyone. Even then, it reeks of affiliate marketing, and most guest post hosts don’t like that. Links to blog posts can come in three varieties. The first is the unrelated blog post. You wrote and published a new post, so you link to it in some mention, just to get the link in there. If you’re lucky, the editor won’t click through and realize it’s entirely irrelevant, but most of the time the link will be removed. Even if the link isn’t removed, remember that one of the metrics Google uses to rank links is how relevant the link actually is. An irrelevant link isn’t going to carry as much weight. The second variety is the low-tier resource. I see this a lot; you link to your own site, where you published a guide to something you were writing about. It works, it’s reference material and further reading, but it’s not the best resource out there. 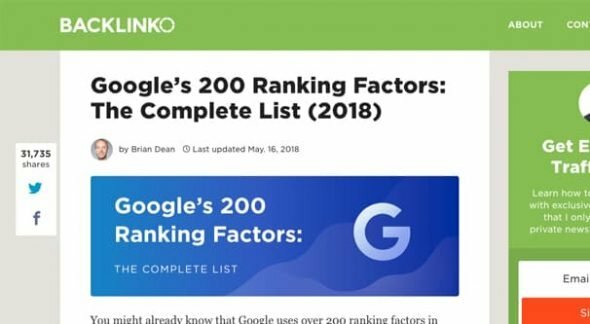 Imagine if I wrote a top 20 guide to search ranking factors and linked to it, instead of Backlinko’s top 200 list. Mine works, but Backlinko’s is by far the better reference material. The third variety is the high-tier resource. A unique post I wrote about a topic where no one else has covered it in as much detail. High quality resources are the best and most important to use as link fodder, because even if the editor wants to replace it with a different resource, no other resource will be as worthwhile to include. It all comes down to the purpose of the link. If you’re linking to give the reader further information on a topic, further advice, or a resource they can use to solve a problem you mention, it’s a good link. If you’re linking just because you mentioned your own brand name and want the link in there, or you just want to squeeze something in for the SEO value, it’s a lot less worthwhile to include. At the end of the day, the basic question is pretty simple. It’s not inherently bad to link to your own site twice in a guest post, but it’s all about the context. If the editor lets it slide, it’s fine. If they don’t, well, then it doesn’t matter. Is It Worth It Guest Blogging for a Nofollow Website? 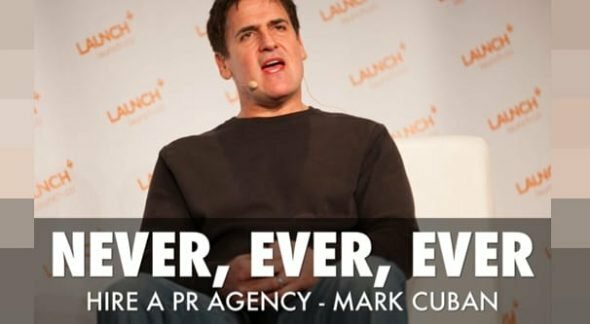 How Much Does it Cost to Hire a PR Firm?